KNOXVILLE, Tenn. (March 22, 2018) – Vyne Medical, a leading provider of healthcare communication and data management technology for over 440 hospitals and health systems, today announced its ratings following an extensive review by KLAS. Vyne Medical’s flagship product Trace™ has been reviewed by KLAS in the “Revenue Cycle – Other” category on the KLAS website. KLAS, the leading source of healthcare information technology vendor performance metrics, determines its ratings based on the overall customer satisfaction score for a vendor’s products. 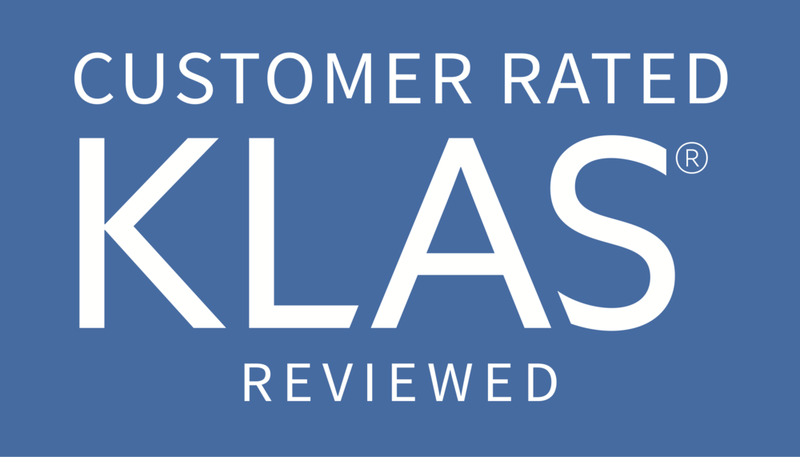 KLAS ratings also are based on direct, detailed feedback from healthcare providers across North America. Vendors are rated across four key performance categories: sales and contracting, implementation and training, service and support and general. “We are extremely honored to be recognized by these clients and to be recognized by KLAS,” said Lindy Benton, CEO and President of Vyne.